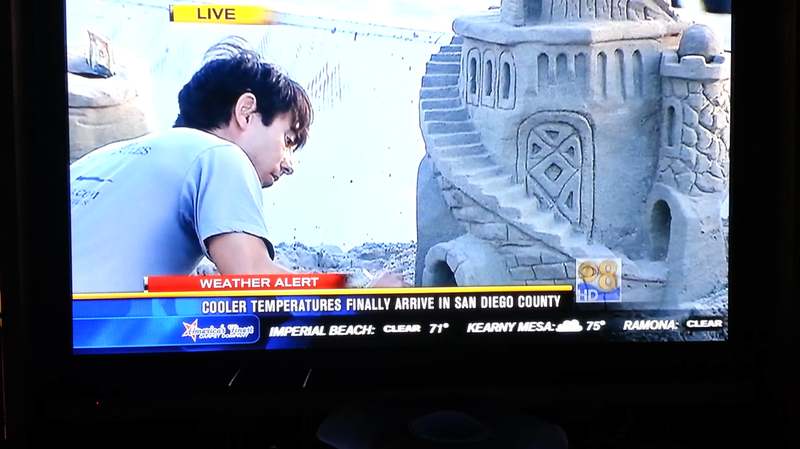 San Diego Sand Castles have made the news numerous times. Sand sculpture is definitely fun and fascinating! San Diego Sand Castles just made the list as one of the Top Fun Things to Do in San Diego at FunThingsToDo.io! My "Sandy Lumberjack - Paul Bunyan" sculpture and I made the front page of the U-T San Diego. A full length article in the Beach and Bay Press. A picture of me and my partner, Meg Eckles, working on our entry into the U.S. 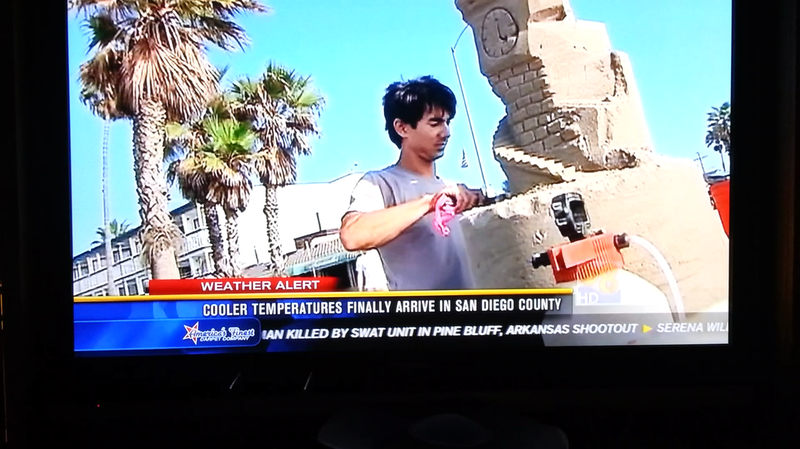 Sand Sculpting Challenge in the U-T San Diego. A full length interview article in SanDiegoVille. I wasn't expecting to be quoted word for word in this, but I suppose that makes it an interesting read! This is a sand Barbeque Grill I made for a short segment that appeared on ESPN's tailgate week for College Football. 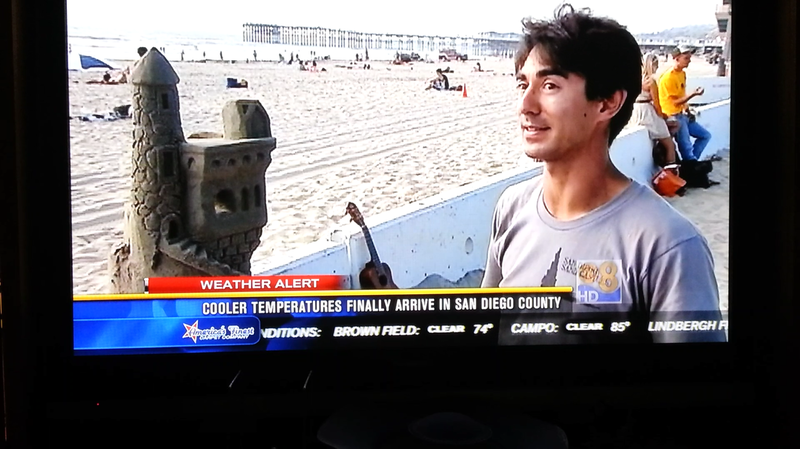 San Diego Sand Castles was featured in a special report by reporter Tabitha Lipkin of San Diego 6.